This loan is to fund a business acquisition. The experience of the purchasers should be considered. Husband and wife team, Matthew and Annie Hughes are looking to acquire a well-established garden and agricultural machinery repair business operating in both commercial and domestic markets, buying the stock, trading name and goodwill of E Buckland Garden Machinery LLP and the currently dormant company Buckland Garden Machinery Limited, enabling the current owners to retire. The vehicle for this acquisition is HENRY'S GARDEN LTD.
Matthew presently runs the business on a day to day basis for its current owners and has been offered advantageous terms to acquire it. CVs for both are included in the Business Planning documents appended. A gross purchase price of £177,500 has been agreed to acquire the LLP. The purchase will be “clean” with no outstanding liabilities, crown or otherwise carrying forward. £45,000 is to be paid at the outset and it is this sum that Matthew and Annie seek to finance, the residue being paid on a deferred consideration basis over 5 years on an interest only loan structure. No security is being taken by the vendors in this regard. Performance is, therefore, a little inconsistent, reflecting, to an extent, the lifestyle of the current owners and their decision to retire a couple of years ago. Matthew’s impact on the business is most visible in terms of improved margin since he became involved and it is clear that top line sales are trending towards 2015 figures for the current financial year. An outline business plan together with cash budgets is included in the presentation. These effectively forecast an uplift in topline sales to £875K, margin peaking at 27% and overhead excluding loan interest broadly in line with 2017. There is a requirement for only a modest salary for both directors ( £20,000 in total ) with no dividend for either director in the first 12 months, per the forecasts. The company is buying an established business with steady historic financial performance. The directors are confident in their business plan and the existing owners have shown a large element of good faith in Matthew and Annie to continue the business with a very generous deferred consideration package. 1. Personal guarantees from both directors, supported by a second charge over their matrimonial home, valued at £190K with an outstanding first mortgage with Cheltenham & Gloucester in the sum of £94.5K. The latter have already verbally agreed to the creation of the second charge. A valuation report provided by the estate agent placing the full market value at £190,000 - £195,000 has been uploaded to the listing. 2. An unlimited debenture over the LLP and all of its assets and the holding company will be provided which will pick up predominantly stock and a small amount of trade debt together with corporate guarantees. 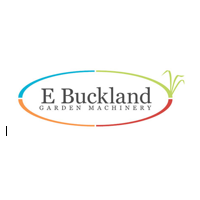 The target business - E Buckland Garden Machinery LLP - is not a company but a Limited Liability Partnership so any reference to shareholders should more appropriately be references to members and therefore shareholders' funds should be read as members' funds. An LLP is an incorporated entity so we have been able to check the 2015 and 2016 figures to those filed at Companies House.